By an odd coincidence, the late William Hazlitt has been haunting my steps this week. The old gent showed up by previous arrangement in my creative nonfiction class, as the syllabus called for my students to read his essay titled “On the Pleasure of Hating.” He just happened to appear simultaneously in my Shakespeare class, too, with his intriguing opinion that A Midsummer Night’s Dream oughtn’t ever be performed. Doing so, he thought, only ends up ruining a perfectly wonderful poem with the silly and inevitably disappointing business of the stage. Keep in mind that Hazlitt died in 1830, long before the sort of high-tech marvels modern theaters can pull off. I have only barely made Mr. Hazlitt’s acquaintance, but this week at least, I have found in this loquacious curmudgeon a sympathetic companion. “On the Pleasure of Hating” is a “classic of spleen,” according to the editors of The Art of the Personal Essay, and I’m dismayed to find how readily I fall in, at least this week, with the dark assertions of this 1823 diatribe. Many of his cranky observations seem alarmingly contemporary. If our society insists on decent and civil behavior, he suggests, then we will seek hateful violence in our entertainments. Hazlitt cites Fox’s Book of Martyrs and the Scotch Novels, but he could easily have mentioned Game of Thrones or Halo. Not content with doing all he can to vex and hurt his fellows here, ‘upon this bank and shoal of time,’ where one would think there were heartaches, pain, disappointment, anguish, tears, sighs, and groans enough, the bigoted maniac takes him to the top of the high peak of school divinity to hurl him down the yawning gulf of penal fire; his speculative malice asks eternity to wreak its infinite spite in, and calls on the Almighty to execute its relentless doom! … [M]eek Christian divines cast those who differ from them but a hair’s-breadth, body and soul into hell-fire for the glory of God and the good of His creatures! The doctrine of hell, for Hazlitt, is merely a manifestation of the insatiable human appetite for hate. The end of the essay reveals the more personal shadows behind his rant. We begin to sense that this fellow has been disappointed in just about everything good in life: dear friends who turn to gossip and backstabbing; favorite books that grow familiar and dull; high-minded concepts that shatter in practice, like virtue, liberty, love—and he emphatically includes himself among his objects of despite. This brutally honest observer of dark human nature gets much of his best evidence from his own heart. 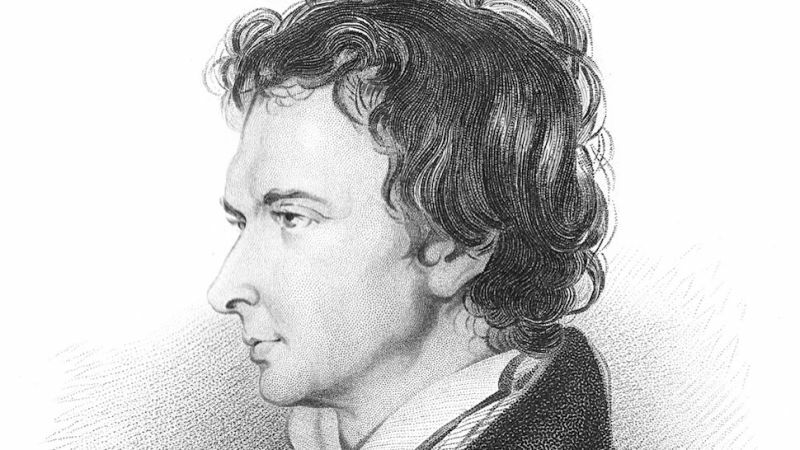 Hazlitt lived during the Romantic period, so perhaps he felt obliged to provide the world with an antidote to Wordsworth and Shelley, et al., with all their overwrought rhapsodizing about nature, childhood innocence, etc. (“Hey, Will! Shut up with the stupid poems about daffodils and get off my lawn!”) Or maybe he just let loose one day with the sort of dark mood that might occasionally descend on any of us, in any age, when we’ve lived long enough to get bruised by life repeatedly in the same old places. Sooner or later I’ll get around to tsk-tsking my ghostly friend, and I’ll turn the corner again toward grace, and I’ll reset my mind on “whatever is noble, whatever is right, whatever is pure, whatever is lovely, whatever is admirable.” Sooner or later. For now I think I’ll sit here a while with this grumpy but perceptive fellow, lend him a sympathetic ear and a knowing nod, and drink a toast to spleen.